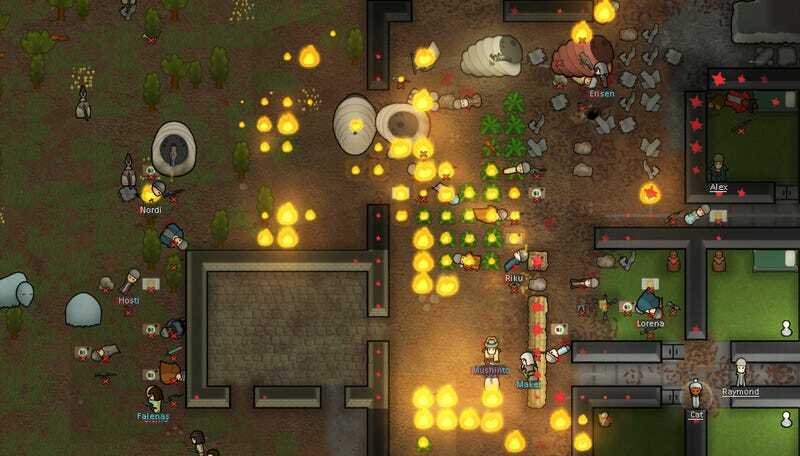 Recently, a user of independent digital game store Itch.io was thrilled to find a copy of Rimworld for 75 percent off. He snapped it up immediately. Problem: Rimworld isn’t available for purchase on Itch.io. At least, not legally. Turns out, it was a scam listing. According to our counterpart on another continent, Kotaku UK (pronounced “ko-tah-kook”), the buyer, Michael, found that his download contained a .RAR archive of the Rimworld folder from Steam. Michael, it seems, was not alone. Multiple people reported the fake Rimworld listing to Itch.io via Twitter. They also called attention to similar listings for everything from recent Steam hit Dead Cells to the original Warcraft. Itch.io is unlike Steam and other digital storefronts in that it doesn’t gatekeep. It’s an open marketplace. People can directly upload and list their games with minimal muss or fuss, and they can get paid directly for them. This makes the site a haven for ambitious experiments and oddball indies alike, but it also means it’s open to exploitation from jerks, creepoids, and of course, wastrels. In a statement, Itch.io said it has and will continue to ban any and all scammers, as well as their payment information, from its system. Because of recent incidents, though, it will also have to crack down (a little). It’s kind of a bummer, given what Itch.io has come to represent in the independent games scene. That said, this is by no means ruinous. I just hope these fraud attempts aren’t a sign of things to come.